— Lady Macfarren, Recollections of Dr. Joachim, The Musical Times (October 1, 1907): 662. Lunched with Felix Moscheles. He had just finished and sent off a picture which so delighted Robert Browning that the poet became its godfather and presented it with a handsome sonnet. Amongst other guests were Joachim and Herbert Gladstone. The former was in great force. It is strange to see a man who has lived to become a classic and is associated with severity and sublimity so genial and so good a story-teller. He told us how he was getting his hair cut in Kensington, and the hairdresser proposed to snip off a certain lock which the violinist always wears behind his ear. If it is not long enough to fit into that resting-place, it falls over his forehead as he bends over the fiddle and disturbs him playing. So he is careful to keep it long. “I should have it short,” said the hairdresser. “Oh, no,” said Joachim, alarmed. — Sir Henry William Lucy, The Diary of a Journalist, New York: E. P. Dutton & Co., 1922: 134. — The Musical Courier, New York (5 March 1902): 35. — The Musical Times, London 775/48 (1 September 1907): 577. — The Musical World, London (23 April 1864): 269. The whole manœuvre with the red wine was only in order to see how far he was qualified for such a post! Amid roars of laughter the company testified to his qualifications as a wine-agent. — Andreas Moser (Lila Durham, trans. 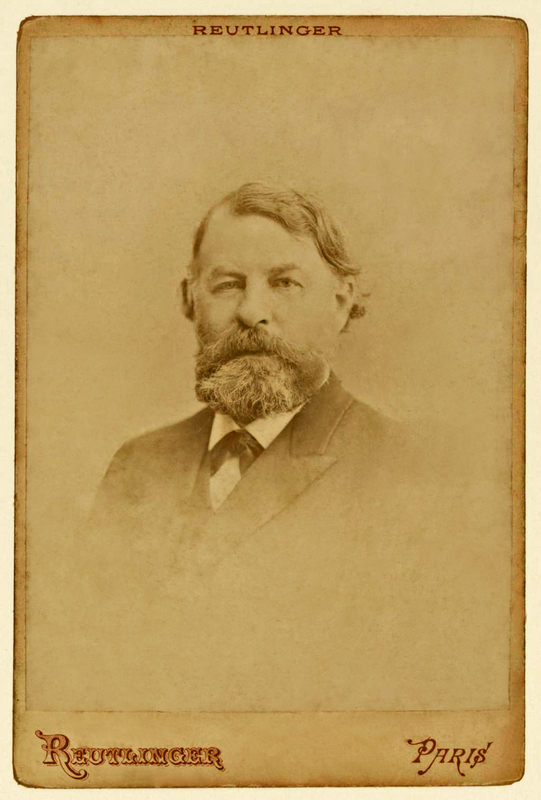 ), Joseph Joachim: A Biography (1831-1899), London: Philip Welby, 1901: 317-318. § … on a misty afternoon, with a young cousin, a friend of Miss Horsley’s, [the author] went to inquire for Mrs. Horsley, the mother of the family, who was dangerously ill in her house on Campden Hill. There was a garden in front of the house, and the door opened as we came up, and then some one who had been watching from the window ran out quickly from within, passing the maid who had come to the door, and saying: “I saw you crossing the garden. Come in, come, both of you. Come quietly; my mother is very, very ill. But Joachim is here, he has come to play to her; she wanted to hear him once more….” In a dim, curtained back room looking across another garden the dying mistress of the house sat propped up with cushions in a chair. Joachim stood with his back to the window, holding his violin, and we waited in silence by the doorway while he played gravely and with exquisite beauty. The sad solemn room was full of the blessing of Bach, coming like a gospel to the sufferer in need of rest. — Anne Thackeray Ritchie, Blackstick Papers, New York and London: G. P. Putnam’s Sons, 1908: 60-61. — Leon Botstein, “The consequences of presumed innocence: the nineteenth-century reception of Joseph Haydn,” Haydn Studies, W. Dean Sutcliffe (ed. ), Cambridge: Cambridge University Press, 1998: 6. A few days afterwards I received an invitation to spend Sunday at Marlow, as Joachim was staying with the prima donna. I must admit they made a funny couple together. The heavy, ponderous, learned Hungarian fiddler, used to being listened to with awe and baited breath; and the vivacious, chaffing, light-hearted prima donna, throwing all seriousness to the wind, and heartily disliking hero-worship in her own home. They were in very truth the two extremes meeting, and yet Joachim’s fascination and admiration for Melba were very real and very sincere. As far as I remember there was only one other person present, Mr. Arthur Davis, a Stock Exchange magnate, a well-known “first-nighter” and patron of concerts and opera. After dinner some informal music began. Joachim played with me several of the Brahms-Joachim Hungarian dances, and played them wonderfully. Then Melba sang a Mozart aria with violin obbligato, and eventually Joachim and I played the Kreutzer Sonata of Beethoven. Just as we were about to begin the last movement, I discovered to my dismay that we had missed the last train back to town. Davis and I had to get back, so what was to be done? There was only one way—a special train! The local station-master placed every possible obstacle in the way, but eventually, on being persuaded that the matter was of vital importance to the State, the special train was duly obtained. It was composed of one saloon carriage and an engine, and when Davis was called upon to pay for it I remember him remarking that it was the greatest and cheapest concert he had ever been to in his life. — Landon Ronald, Variations on a Personal Theme, London: Hodder and Stoughton Ltd., 1922: 62-64. “…but the most important friend she [Adila Fachiri] made among her great-uncle’s friends was undoubtedly Donald Tovey, then in his early thirties, as tall, dominating, authoritative and knowledgeable as Joachim himself. The young Englishman was a scholar, composer, pianist, and conductor, of equal merit. Also one of the best educators in his musical generation. Joachim said of him that he knew more about music than any man living. According to Casals, Joachim also said that he could easily talk about music with Schumann and Brahms, but not with Tovey, ‘he knows too much’. When Adila entered the room to meet this paragon for the first time, her great-uncle said, ‘I want you to meet the greatest musician since Brahms’. Tovey was kindly, however, and respectful when Adila joined the two in the Bach Double Concerto in D minor. He was tolerant and self-restrained and interested in other people’s points of view; and he and Adila became great friends. But Adila regarded him for the rest of his life with awe. It was her own word. — Joseph Macleod, The Sisters d’Aranyi, Boston: Crescendo: 48-49.